Ports don’t come any prettier than Honfleur on the Seine’s estuary. Glorious historic houses jostle for position on the quays, as do galleries and restaurants. 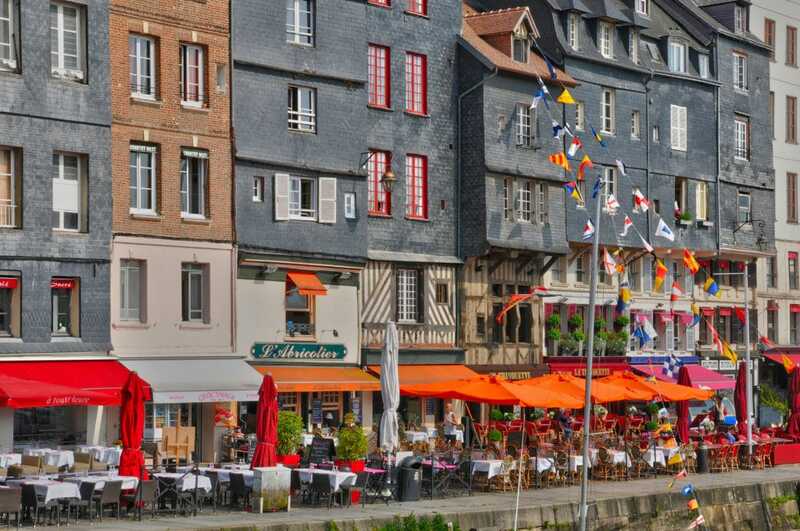 Packed with cultural sights, Honfleur has a wealth of attractions to delight its many visitors. 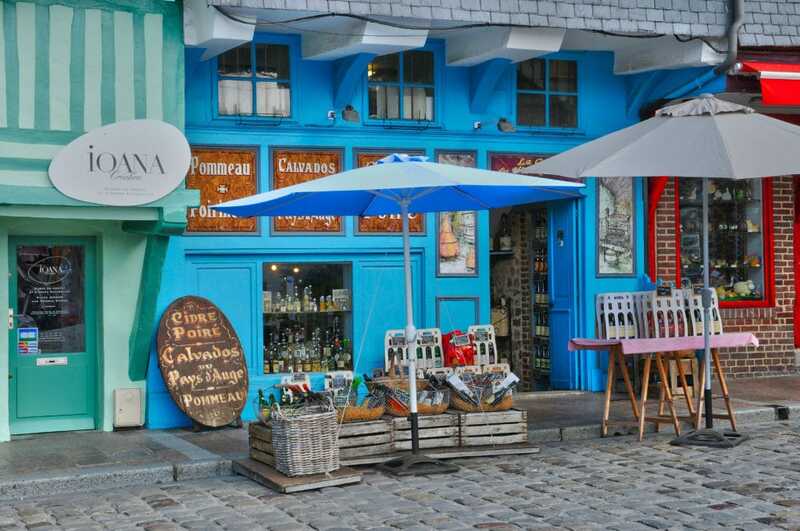 Honfleur looks so utterly enchanting, it is hard to remember that it was built essentially for commerce. Its harbor sits in a great location, tucked away on the southern side of the Seine’s estuary. During the Hundred Years War, the French king had this strategic spot fortified, but that didn’t stop the English from taking over for several decades. Through the Ancien Régime, Honfleur’s shipowners made fortunes from trade, notably with North America. Samuel de Champlain, one of the most famous explorers associated with the port, headed off to found the Canadian city of Quebec. Lucrative lines for the Honfleur shipping magnates included not just cod-fishing off of Newfoundland, but also the triangular slave trade. With their fortunes, wealthy Honfleur families built their high-rise homes, packed tightly next to each other, especially around the Vieux Bassin, the heart of the port, where a front-row home overlooking the vessels was a distinct privilege. Now, instead of receiving commercial ships, or fishing boats, which are kept out of the center in larger docks, the Vieux Bassin attracts yachts. Shops fight for space behind the quays in this extraordinarily picturesque setting, while restaurants stretch their terraces across the cobbles. 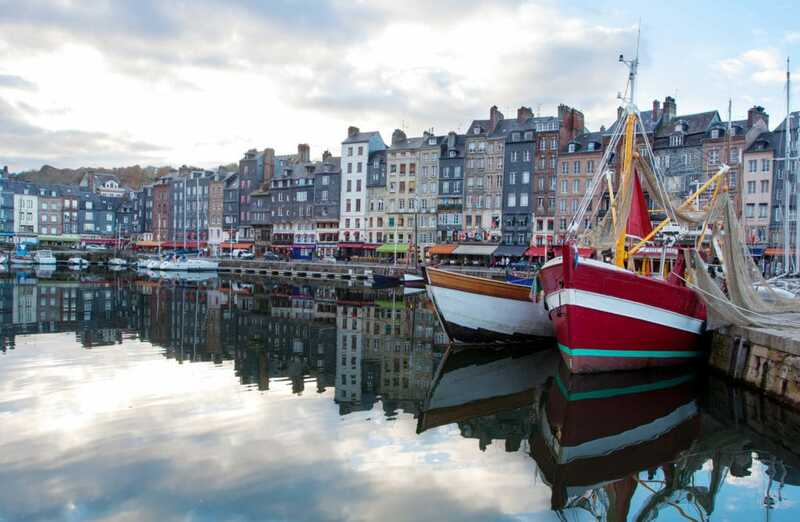 iN 2019, our BON VOYAGE and ENCHANTEZ travelers from greater La Cañada Flintridge, California, get to experience Honfleur during a two-day stay right in the heart of town. 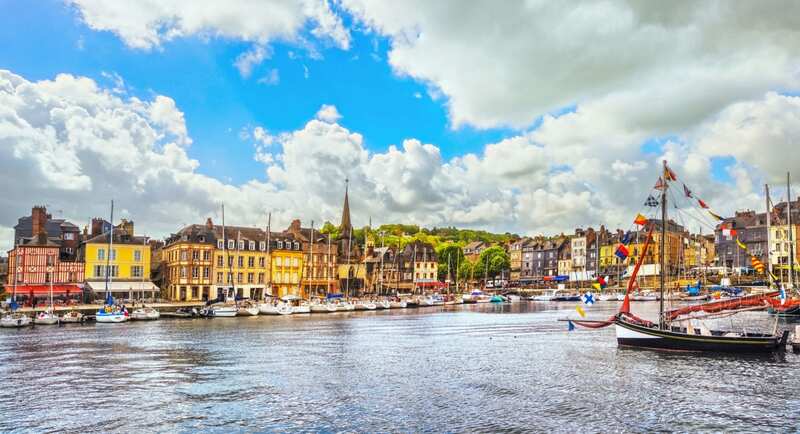 For most, this charming port town in Normandy is just a pit stop for a few hours, but well-worth a longer, in-depth visit, in our opinion. 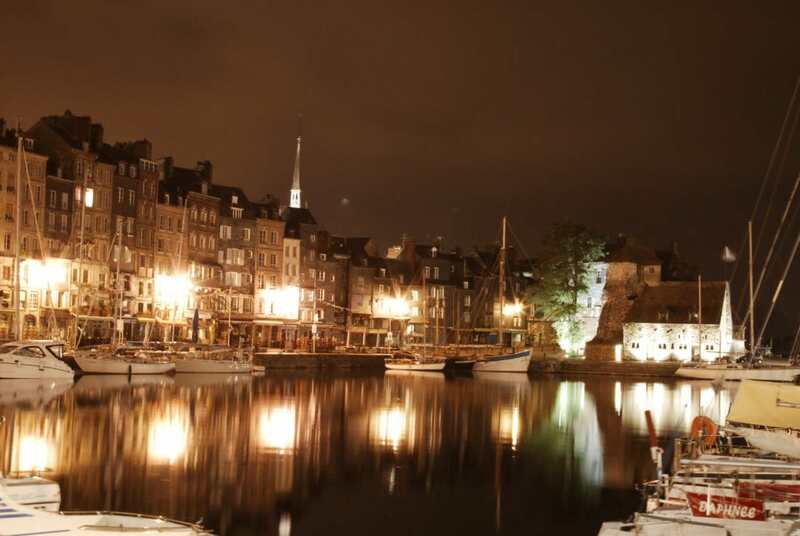 Honfleur can get quite busy during the days, but at night you will be able to share this special place with welcoming locals and like-minded travelers. Isn’t it beautiful? No visit to Normandy would be complete without an excursion to the Landing Beaches or for visitors from the US, also the Normandy American Cemetery.